SEGA has announced which games it'll be bringing along to E3 next week and every single one of them will be playable. That includes the 3DS and Wii U exclusive Sonic Lost World, which is due to be released later this year. A hefty amount of footage for the game was released earlier and we're already looking forward to seeing more from the Blue Blur on both the handheld and home console versions. Also on show will be Castle of Illusion, the HD remake of the Mega Drive classic Castle of Illusion Starring Mickey Mouse, which unfortunately will not be coming to the Wii U. Company of Heroes 2 and Total War: Rome II will also be on show, as will the mobile version of The Cave. That's all SEGA has revealed, but who knows there could be some more we don't know about. Which game has got you interested the most? Let us know in the comment section below. 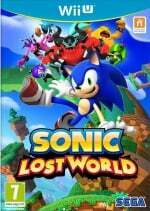 I've gotta say, the recent gameplay footage of Lost World has me very excited for its release. Sonic Lost World, yes! It is one of the games I'm most excited for. @ungibbed IKR, I think, means "I know right." The :/ is supposed to be a face. @Five-seveN I know the emote, I just don't speak acronyms well. Aren't Wii U and PS3 Sega's most important platforms? I don't see how Mickey wouldn't make it to eshop. I thought that Castle Of Illusion was coming to the Wii U. I was going to get it over the 360 version. WTH happened?! I guess we still have DuckTales! @DRL Agreed, it looks promising and I'm certain that it won't be a disappointment. I wonder how boss battles would be like, similar to the PSP Sonic rivals games? It feels and looks like too many cooks were in the kitchen on this title. Oddly enough the Sega nut in me wants to buy it but I'm having conflicts with the other part called common sense. The graphics look decent enough but it just doesn't look like a true Sonic game. With a little tweaking, this could almost work as a new NiGHTS game more than a Sonic game. I feel that this game won't review or bode too well after the awesome Sonic Generations multi console release. In addition, I've seen the the 3DS pushed much harder than what this game is showing. Hopefully it's just an early build. What was that Sega Spectrum I heard about? Where's pso2? Been waiting a good year or so on that...maybe a console release too? I am interested in Lost World for Wii U, depending on how good the control and camera are. I will also join the disappointment bandwagon regarding Castle of Illusion not hitting Wii U. I will then make sure that Scrooge McDuck keeps being the richest duck in the world, as Mickey won't get my money. hold on a second isnt castle of illusion a capcom game? @Tysamu I agree with you 100%! This system has so much untapped potential that really isn't getting shown well at all. Castle of Illusion still is one of my favorite games from the Mega Drive/Genesis and never came to the Wii Virtual console since their agreement with Disney expired. It was a real shame as those were the absolute best platformers on the system. So I have high hopes that once all the dust has settled, that Castle of Illusion would see a Wii U eShop release unless it remains a regional issue as this is a UK website and I'm from the US. There was a lot of great stuff that was released in the UK for the PS3 via PSN that we never got in the US. Out Run HD is one of them. Perhaps Castle of Illusion falls under this mess until the final word is given. @DarkLloyd It was a early exclusive for the Genesis/Mega Drive produced by Sega under the license of Disney. As for people wondering about PSO2, I saw an interview with the game's developer last week on Imagine-Nation (a Japanese pop-culture program that airs on NHK World), and unfortunately, they said they have no plans to bring it west. Differences in monetary transactions (it runs on a variant of the free-to-play model) & console preferences between Japan & the west, were cited as the reasons. Cannot wait for Lost worlds and the Castle of Illusion remake. Lost World is the most interesting to me hands down. Get Total War on WiiU and I will buy day one. I just don't understand why Castle of Illusion wouldn't be coming to Wii U. In fact, all of those games really should be coming to Wii U.
I am pumped for Sonic Lost World - both versions, actually. And I still don't see a reason why the Castle of Illusion remake can't join the DuckTales remake on Wii U. No Phantasy Star Online 2? BOO! I don't wanna play on the Japanese servers anymore, so I wish they'd bring this over soon. I would be very shocked if Castle of Illusion does not make it to the Wii U. Out of all the consoles, I would tend to think a vast majority of the audience(mostly old-school Sega fans and kids) would be on a Nintendo system. I think Sega has simply not announced it. Or maybe it's out of Sega's hands. Disney is the owner of the characters, and they have the final say on where these games end up going. Maybe Disney for some odd reason did not want the game on the Wii U. @Caryslan I'm in the US actually. Out Run HD was exclusive to the UK on the PSN network. In the US. It was on the XBLA. Sorry if you misunderstood me. I'm located in hot lava temp California. I'd be a tad surprised if Castle of Illusion doesn't come to Wii U considering SEGA have got into bed with Ninty with the exclusives. Then again, SEGA could just say that they've given Ninty its exclusives anyway. Will Company of Heroes and Total War: Rome come to the Wii U? 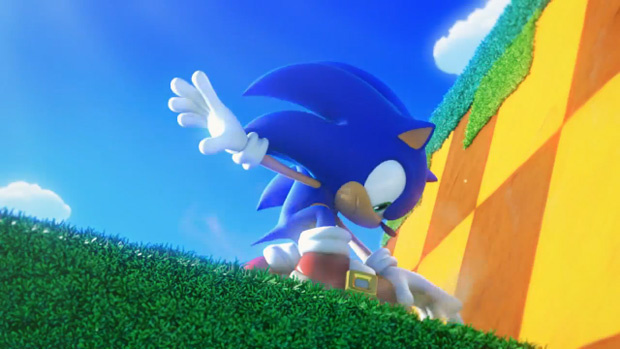 Sonic lost world looks excellent. I absolutely cannot understand why Sega chose not to bring Castle of Illusion to Wii U. It makes no sense whatsoever. Its not like they dont have a healthy relatonship with Nintendo. And out of all three major platforms, Nintendo's is closest to the demographic most likely to purchase this game. Why being it to all other platforms but Wii U? Unless theyre planning on a packaged release for Wii U down the line? I guess Sonic, but I'd like an order of Castle of Illusion please, with a side of a surprise revival, perhaps a new Streets of Rage! castle of illusion. too bad it is not coming to wii u.
I notice Phantasy Star Online 2 is not mentioned. Not that I'm surprised anymore.